The price and versatility of this infrared smoker combo help it stand out and take the #1 spot. Not only can you smoke cuts of meat with the Big Easy, but you’ll also be able to roast and grill. If you want variety, this combination appliance brings it. When you’re ready to grill, you get 180-square inches of cooking space. This isn't a tremendous amount of space, but it is more than enough to cook for the whole family. The grilling space also helps to ensure that your food is cooked evenly and thoroughly. The smoker box adds to that outdoor wood charred flavor. The temperature control for this unit ranges anywhere from 9,000 BTU’s up to 18,000 BTU’s. When you’re in the mood to roast your food, such as turkey, you’ll be happy to know that the Char-Broil Big Easy can hold up to 25 pounds of meat at once! If you don’t have a problem cooking on a smaller infrared grill, the Big Easy TRU-infrared smoker grill combo is the best option for you. The Smoke Hollow PS9900 allows for 4 types of cooking in one appliance, including an infrared side burner. This is great for anyone that enjoys infrared cooking. Not only can you cook your meats with indirect heat, you can also try other methods, such as gas grilling, charcoal grilling, and smoking. Infrared heat is a strong selling point for this appliance. The ceramic infrared side burner will apply a distinct smoke flavor using indirect heat for a slow thorough cook. If you’d prefer direct contact towards your food or smoked food, the charcoal grill has an adjustable pan that gives you an easy tool to control the temperature while providing a char flavor. The bottom line is that along with efficient grilling methods, you get what is arguably one of the better options for infrared burners available today. This smoker grill combo also allows multiple cooking methods, with the option to use 4 heating sources! 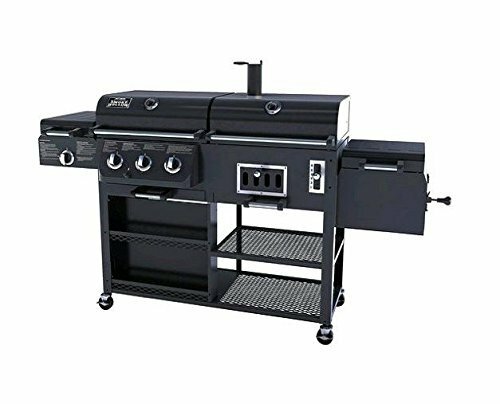 With the Char-Broil Oklahoma Joe’s Longhorn Triple Function combo, you’ll be able to grill with gas or charcoal, smoke, or indirect cook on the side burner. The device on the side will produce indirect heat while releasing up to 12,000 BTU’s. It also accommodates the chimney starter to get the whole machine up and running. In addition, there are three other direct flame burners that each produce the same amount of BTU’s; for a combined total of 36,000 BTU’s. You also get more than enough room to cook. The smoke firebox chamber alone will provide roughly 310-square inches of cooking surface, in addition to the 750-square inches of space in the main chamber. The main chamber also has porcelain-coated cast iron grates that will handle extremely hot temperatures without fats or other food particles sticking to them. This means you can clean them without any annoying roadblocks such as hard residue from the food. Be aware that finding a high-quality grill that offers an additional 3 cooking methods will not come at a cheap price. In price comparisons with other infrared smoker grill combos, the Oklahoma Joe’s combo is rated average, but that doesn’t mean it’s the least expensive unit available. People who enjoy the simple things will get the most out of the Tec Patio Fr series. This infrared smoker combination grill offers the advantages of using an infrared grill while being made to last so that you can use it for years to come. This infrared smoker grill combo has an elevated rack that allows infrared heat to move underneath your food for a slow, even cook, opposed to directly applying the flame. Durability is a strength of this appliance. 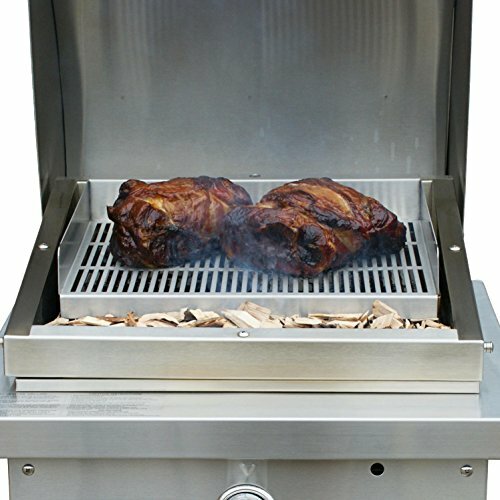 This infrared smoker combo is made of a 304-grade stainless-steel that stays intact, even in poor weather conditions. In addition to the benefits of infrared cooking, this infrared grill combo also has a smoker tray which uses wood chips to enhance the overall flavor of the food. Those who are passionate about that unique wood-fired flavor will be sure to get the most out of this feature. Whether it’s turkey, ribs, pork, or even regular chicken breasts, this combo will give you a solid wood flavor if you combine the effects from the grill with separately purchased smoked wood chips. While there isn’t much to this infrared combo from the outside, it has the features needed for a well-made smoker grill. When it comes to heating up your food, this grill has you covered. The 4 cast-iron stainless-steel burners used in this unit produce a combined 105,000 BTU’s of power. The primary area of the grill has 800-square inches of space for you to cook whatever you prefer, including chicken, ribs, burgers, or anything else you have in mind. Upon purchasing, you’ll have the option to choose from liquid propane or natural gas, so there’s some flexibility in heating sources. This grill also comes with a smoker box and rotisserie, so if you plan on grilling bigger cuts of meat with the intention of having a smoked flavor, you’re in luck. The infrared burner will cook your food with an indirect heat so that it can cook in entirety with zero cold spots. With the Bull Outdoor infrared combo grill, you’ll be able to cook virtually any type of meat at any texture. This grill is also built to last, with its 304-grade stainless steel construction. Some buyers have been concerned with durability due to the temperature dials not working well, but besides this issue, there hasn’t been much to complain about. Other highlights include the easy-to-read built-in thermometer and the tabletop design. Overall, this is a well-rounded grill combo and its available at a low price. Finding the right infrared grill isn’t as dreadful as you would think. Most combos that offer infrared burners are easy to find and most of the time they provide you with an alternative cooking method to experiment with. It all comes down to which one is most efficient. The most popular infrared smoker grill combo today is hands down the Char-Broil Big Easy sitting at the #1 spot on the list. The Big Easy offers a superior experience while asking for a very low price, though this is not your only choice. There are some high-quality options out there besides the Big Easy, including the other 4 options in this list. If you have money to spend and want to try something different, the Bull Outdoor Products stainless steel grill with the infrared side burner is something that might be useful to your outdoor cooking agenda. It is the most expensive unit on the list, but it could also be the longest lasting grill as well. 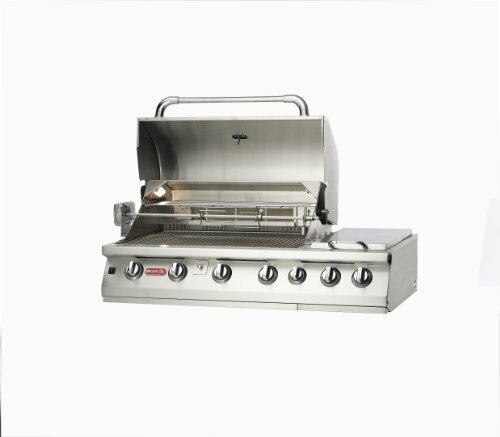 People who generally like food cooked from every type of method would appreciate “do it all” grill combos like the Smoke Hollow 9900 or the Oklahoma Joe’s Triple Function grill. These smoker grill combos allow you to experience a variety of cooking styles until you find your favorite one or continue to use all that is offered to you. It all comes down to what you value most. Compared to grills that use other fuels like gas or charcoal, the infrared heating system is much more effective for your meat, as it reaches every inch of the meat using indirect heating. You won't have to deal with cold spots that make you want to gag. Along with infrared heating, there are other forms of indirect heat. 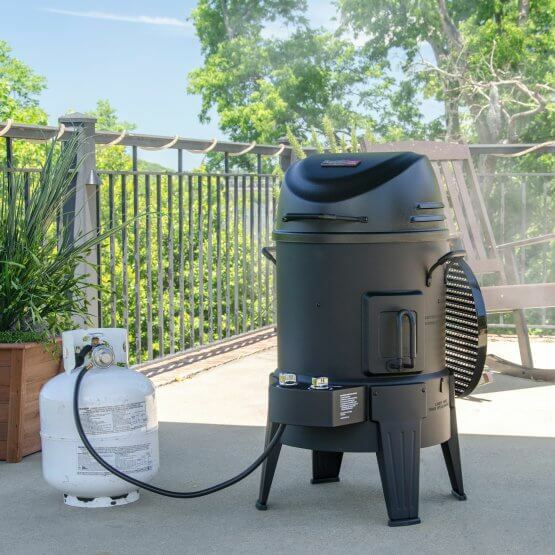 This includes the heat provided by smokers, such as the best vertical propane smokers and vertical electric smokers. Infrared heat also typically retains most of your meat’s natural juices, so eating an obnoxiously dry piece of chicken is unlikely to occur. Those who are experts in the infrared field claim that these grills keep about 35% of the meat's natural juices, which will also improve the texture and overall taste. When it comes to infrared smoker grill combos, the infrared technology used for the heat source is often included as an optional burner; acting as the sidekick to a gas grill system. This doesn’t make infrared cooking any less valuable, as there are plenty of people out there who prefer infrared cooking over other methods. Instead of hitting the food directly, like a gas burner would, the infrared plates used on the side burners will act as an oven and provide a heating source through fumes. 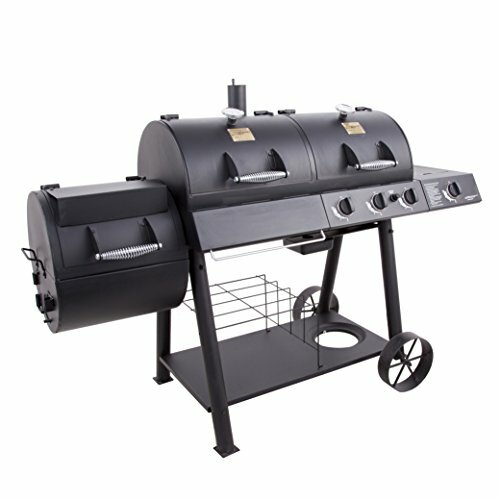 Other features, such as warming racks, are very common, especially when it comes to combo grills. Accessories like a warming rack will give you the freedom to cook some food directly while having other food higher up absorbing fumes. Keep in mind when using infrared technology and smokers that both devices take a long time to heat up and just as long to cook your food, which is why they're often called “slow cookers.” For the busy individual, this might be an issue, but luckily for them, combo units also offer the grill portion. For everyone else who has time, there are plenty of benefits to slow cooking. In fact, there are some foods out there, including ribs, pork chops, and whole chickens, that simply taste a lot better using infrared or smoking compared to the traditional grilling. The only real drawback to using infrared heat is that it doesn’t necessarily produce a smoke-like flavor. This ultimately comes down to the brand you decide to go with, as the feedback varies. Luckily, using the smoker can help add the smoky taste. Some infrared combos even include the option to use wood chips to add the wood-cooked flavor. In the end, combo grills are special because they give you options rather than limiting you to one type of source. If you’re thinking about getting an infrared unit, go with the smoker combo. Most of the time, you’ll be getting a variety of appliance in one, for the fraction of the price you would have if you purchased them separately.